When your headphones are billed as being inspired by the most decorated athlete of all time, they had better be a high-quality product. 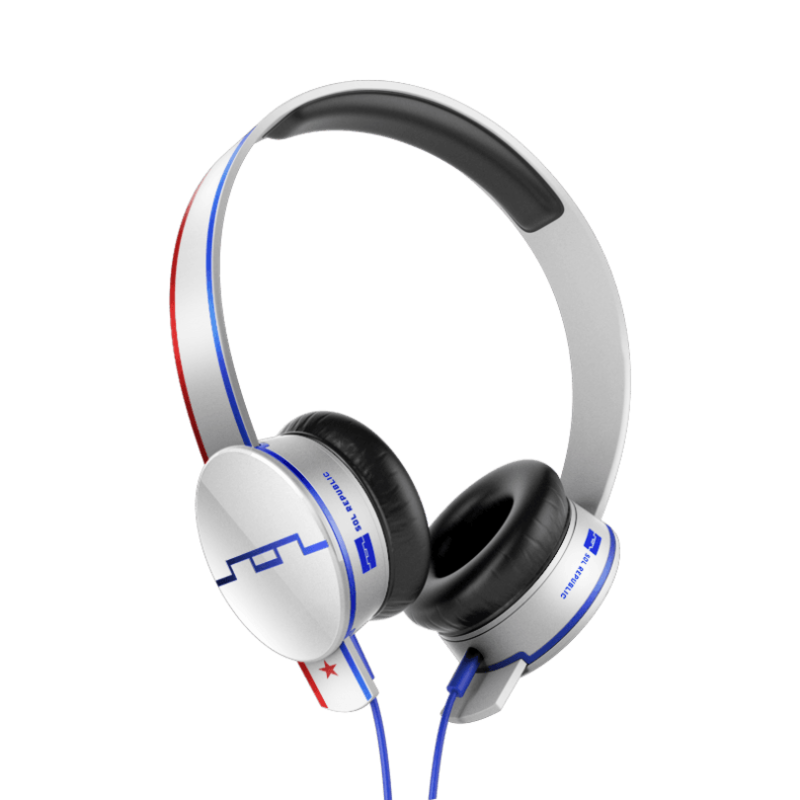 Since manphibian Michael Phelps is used to the gold standard, let’s see if the Sol Tracks HD Anthem headphones can measure up to his winning ways. Right off the bat, you’ll notice that these Phelps-inspired phones incorporate red, white, and blue. Hard to argue with that choice, considering that he’s won more medals for the USofA than any other athlete. Beyond that, you’re dealing with a standard pair of Tracks HD headphones, all of which feature an in-line mic, three-button remote, interchangeable headbands (Tracks), and the company’s V10 Sound Engine drivers. Tracks are a pretty powerful pair of headphones and while they don’t quite boast “audiophile-quality” sound, per se, they are a major step up from the budget brand stuff. We’ve seen Sol release custom cans before with its College Tracks HD line, sporting college-themed headband options. If it seems like you’ve seen Phelps in a pair of Sol headphones before, you haven’t – you’ve seen him in many different pairs of Sol headphones before. He rocked out to a different design before nearly every race at the 2012 London Olympics. Beyond the limited edition color-scheme, the only real difference with the Anthems is the price, which sits at $150, while other Tracks HD retail for $130. Before you get up in arms though, consider that a portion of the proceeds goes to the Michael Phelps Foundation, which focuses on promoting swimming and healthy, active lifestyles. The phones are available now at consumer electronics outlets worldwide.